(Chicago, IL) July 19, 2018–Summer signals the start of outdoor entertaining and backyard cookouts with friends and families. 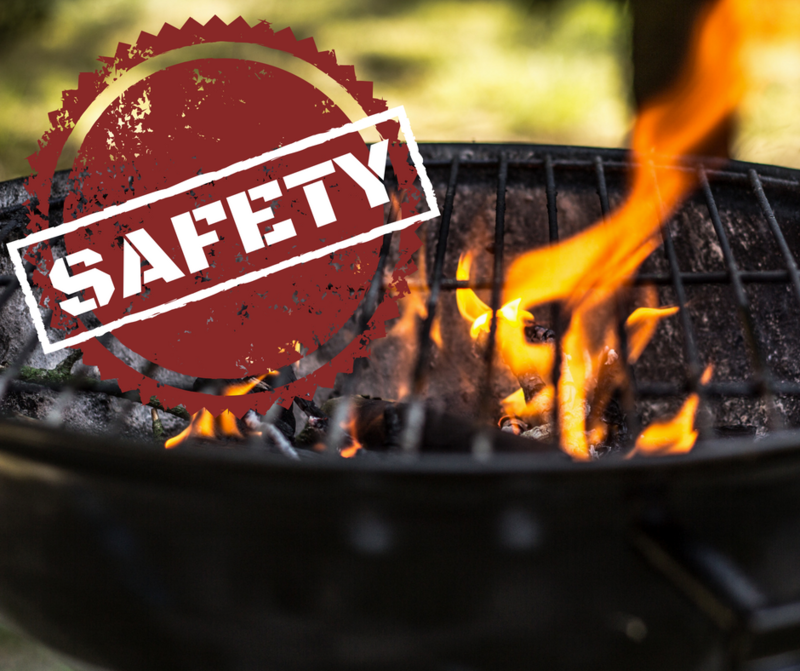 As grill masters place their hamburgers, hot dogs and other foods on the hot grates, they also need to incorporate safety as an important ingredient to avoid potential fire and smoke damage. Sam Simon, managing director of ServiceMaster Restoration By Simons, a woman-owned and family-run restoration and specialty cleaning business, serving the greater Chicago metropolitan area and its outlying suburbs, wants outdoor cooks to practice good and safe grilling habits. Another important tip is to never use a grill inside, in a tent or under and outdoor awning. “The reason for this is that it not only causes potential fires, but it also puts people at risk for carbon monoxide poisoning if they have gas grills,” Simon explained. Additional general tips to remember are to use special long-length matches or lighters; clean the grill thoroughly to reduce flammable buildup inside and never leave an active burning grill unattended. All grills are not the same, as some use charcoal while others depend on gas to spark flames. With charcoal, Simon advised to add enough to cover the bottom of the grill and store extra coals in an airtight container. Cooks should also purchase starter fluid specifically meant for charcoal and to apply it only on cold coals. When cleaning, the grill and ashes should be fully cooled. With gas grills, Simon encouraged owners to open the lids before lighting to allow gas build-up to escape and limit the risk of fire or explosion. It is also a good idea to regularly inspect gas lines and tank fittings for leaks by brushing soapy water in those areas. “If you see bubbles emerge, there could be a leak somewhere and you’ll need to replace any faulty parts before using the grill,” he said. Lastly, gas grills can be stored upright and outside at a safe distance away from other structures. Always use the controls to turn of the grill and then close off the gas line at the tank. ServiceMaster By Simons is a MBE/WBE certified minority and women-owned and family run company serving Chicago, Oak Park, River Forest, and the North Shore. The business provides Water & Flood Damage Restoration, Fire & Smoke Damage Restoration, Mold Remediation and a wide range of interior Specialty Cleaning including Hoarder& Clutter Cleaning, Post-Construction Cleaning, Carpet & Upholstery Cleaning for residential and commercial property owners and managers in Chicago, Oak Park, River Forest and the North Shore. For more information, give us a call at 773-376-1110 or visit servicemasterbysimons.com.